Come celebrate pi with pie! THURSDAY, March 14th 6:00 -7:30 pm at Paul R. Smith Middle School. 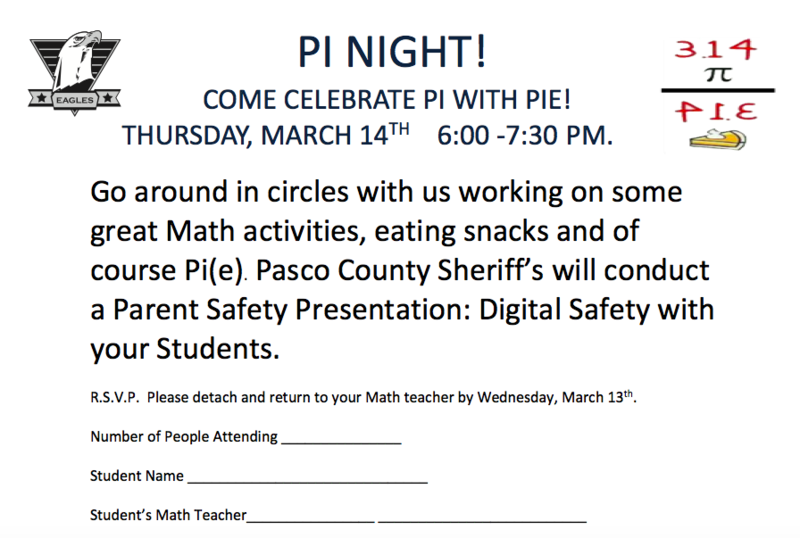 Go around in circles with us working on some great Math activities, eating snacks and of course Pi(e). Pasco County Sheriff’s will conduct a Parent Safety Presentation: Digital Safety with your Students.